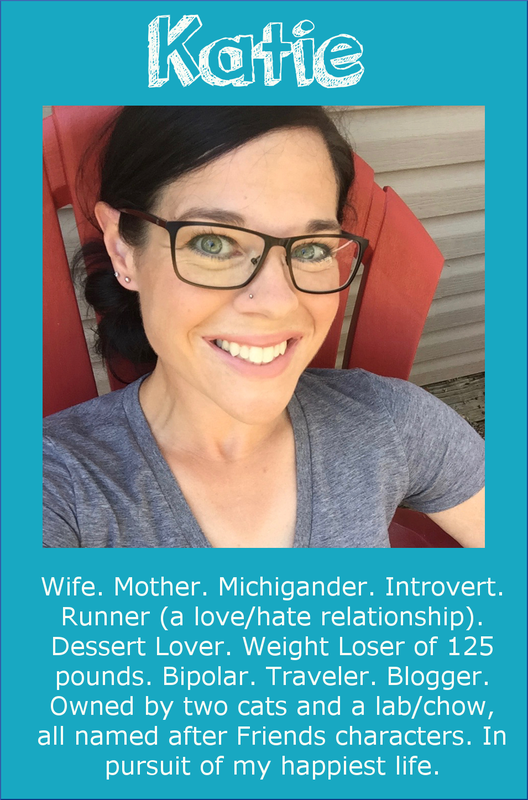 I don't normally write sponsored posts (I've actually only done two sponsored programs in the 4+ years I've been blogging on Runs for Cookies), and I don't plan to start doing them on a regular basis; but when this opportunity from Prudential came along from BlogHer, I was very interested in pursuing it. With this program, in July, I'll have the opportunity to learn from a financial advisor, which is something I've always been interested in. Money isn't as tight as it used to be a few years ago, but I am clueless as to how to plan for the future financially. We certainly have enough to get by, but we have very little savings, and I'd like some help in changing that! So, while this is a sponsored post (the first of three over the next few months), I am excited to learn from it. For this post, I was asked to write about when I was inspired to be the person I am today. First, I have to look at who I actually am today. I am a person who loves setting and working on goals. I've always loved making checklists of goals that I wanted to accomplish, but it wasn't until I started to lose weight in 2009 that I really felt the confidence that I could really achieve what I put my mind to. I made a list of 30 things that I wanted to accomplish before I turned 30 years old, and I included some pretty hefty goals on that list--things like reaching my goal weight, running a 5K race, stepping out of my comfort zone by wearing a very trendy outfit, learn to play the Turkish March on the piano, pay off my MasterCard (which was $5,000 at the time), and knit an afghan. Some of them were silly, and some were more serious, but they were all things that I wanted to accomplish over a period of about two years. To give away the ending, I did not accomplish all of those goals--but that list was a huge part of who I am today! 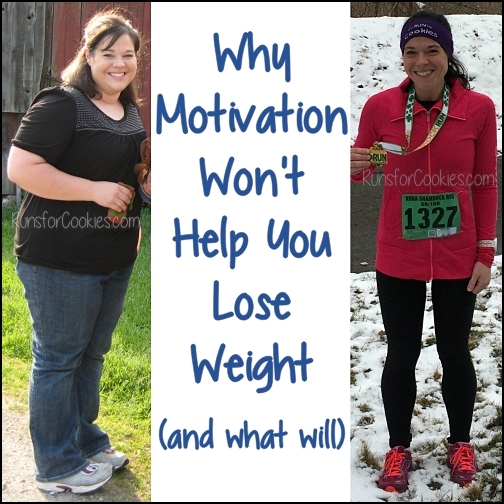 The biggest factor on the list was running the 5K race. If it weren't for my friend Renee, that goal probably would have been shelved right along with the others that I never did accomplish (like playing the Turkish March!). Renee, a runner, saw my list and said she wanted to help me achieve that goal. 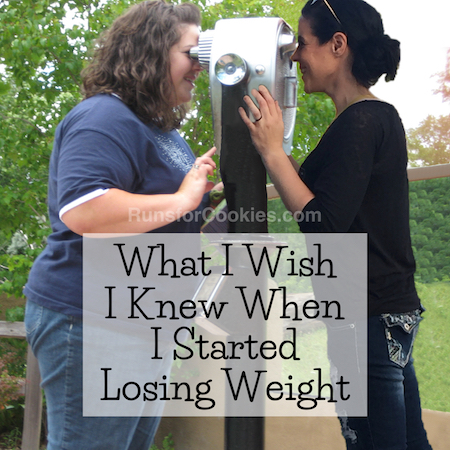 The thought of running a 5K when I had never even run around my block was daunting--but I really would have been embarrassed to admit to her that I couldn't do it. Renee picked a race for us to do together (the Detroit Free Press 5K) and she helped me as I trained for it. I remember calling her after I ran for 8 minutes straight, and I was SO proud. She continued to encourage me, and eventually, we ran that race together. Running that 5K was just what I needed to achieve all sorts of other goals. I had done what I felt was impossible! 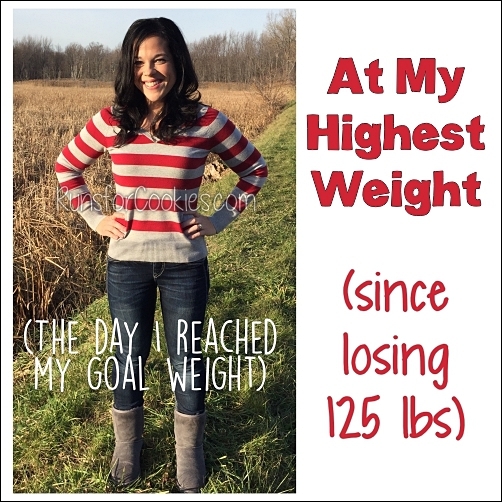 Achieving that goal was just what I needed to start working on other goals that I felt were impossible. Reaching my goal weight? Even though I included that on my list, I thought there was NO WAY IN HELL that I would actually do it. After the 5K, though, I started to reconsider that thought. I finally realized that the goals that seemed impossible were actually possible when I made a plan. 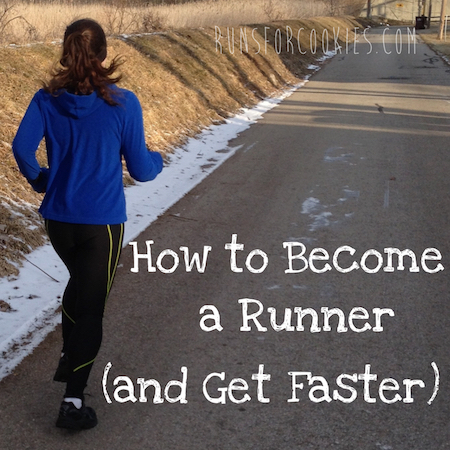 I couldn't just go out and run a 5K race one day--I had to follow a training plan and work my way up to it. I couldn't just knit an afghan one afternoon--I had to find a pattern, plan out the color scheme, figure out how much I needed to work on it each day to finish it in time, etc. I couldn't just pay off my MasterCard by writing a check for the full amount--I had to make a budget, and have a portion of money automatically set aside to pay that debt down. 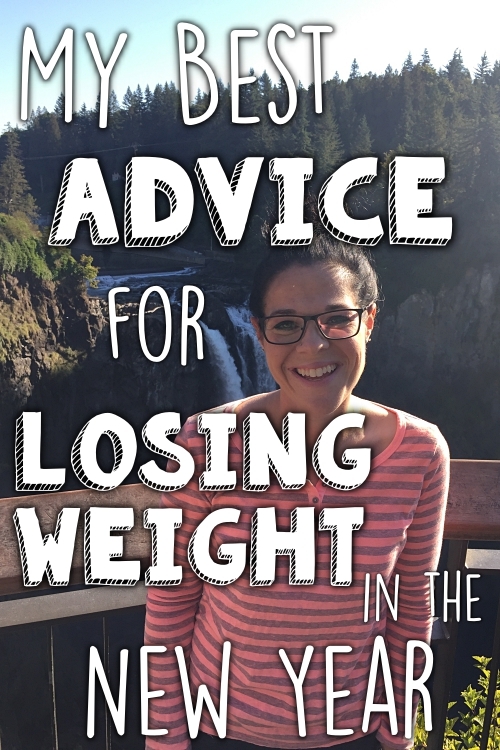 Reaching my goal weight was the most difficult on the list, because it required a plan with a ton of variables, and a HUGE dedication on my part. But, thanks to that 5K, I was confident in going about tackling that goal. Prudential's mission with this program is to inspire women to their own financial security--this is a topic that I don't know very much about, but I'd love to learn. I worry all the time about not just my own future, but that of Jerry (I want him to be able to retire and enjoy life) and my kids. I imagine this will involve setting some goals, making some temporary sacrifices, and having the dedication to follow through--the same formula that I used to reach those other goals on my list! Great post and love the subject matter! My Dad taught me all about finances and some of which I really need to buckle down and just do - he grew up during the Great Depression so you can just imagine how he was with money - the man owed nobody when he suddenly died. I've always been concerned about money and have always taken an active role in our finances because I don't want to be in the dark if all of a sudden my husband dies. I also don't want my daughter to have any college debt so we also have a 529 for her. Can't wait to read the other posts on such an important topic! This is a fantastic post Katie! It comes at just the right time for me; it's the end of semester, I'm tired and fed up, and as a result I'm making bad life choices (going to bed too late, sleeping too late, eating crap food, not exercising, watching tv all night), and I've been saying "when semester ends, when semester ends" in regards to all the things I should be doing. Today I am going to take charge of my life, and the things I need to get done, be they big things or small things. I love creating lists and goals, so I will start with that! So awesome! An afghan was on my bucket list so to speak as well. I completed my first one earlier this year and just started my second. I also don't know enough about financial planning. I wish I did. I could learn, but I'm intimidated I think. I'm intimidated and overwhelmed by it! I really do love numbers and math, but I don't understand investments at all. Hopefully I learn something! Love this post, Katie! So inspiring, as always. I think it's interesting that you had a 5K run goal AND your debt at the time was also 5K. Good for you! Where do we go to post our #womeninspired story - here in comments? I was also inspired by running... Eight years ago I was so unhappy - I lived in a town I didn't like, my job was miserable and paid very little and took all my time, and I had few friends and no love life. I decided to run a marathon, even though I was only a casual (and super-slow) runner. People asked me if I was sure I wanted to do such a hard thing, or why I even thought I could do it, and I didn't have a good answer because I've never been athletic. But I ignored all the doubts, trained for months, and finished the race (very slowly). That got me thinking about what else I could maybe do that I had never thought possible. It took a long time and a lot of work, but I moved to a new city, found a much better job, made friends, and met the man who would become my husband - and daring to believe that I could finish a marathon was the first step.